Pet owners receive a tag called a “pupkin” when they enroll their dog or cat with Trupanion, medical insurance for pets. As a special promotion during the holidays, customers could choose from a collection of limited-edition designer pupkins in addition to the standard tag. 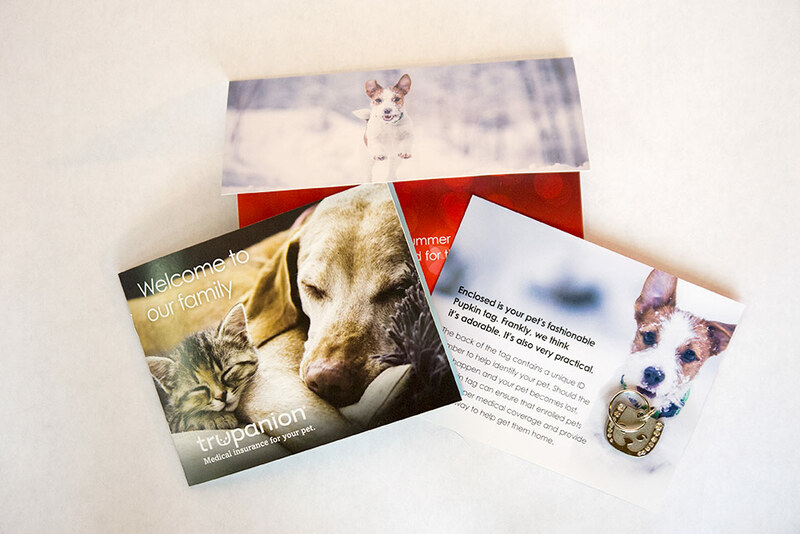 To emphasize the joy of the season, the gift-like nature of the promotion, and to engage customers with the important information provided, a new, more engaging photo-centric kit was designed. 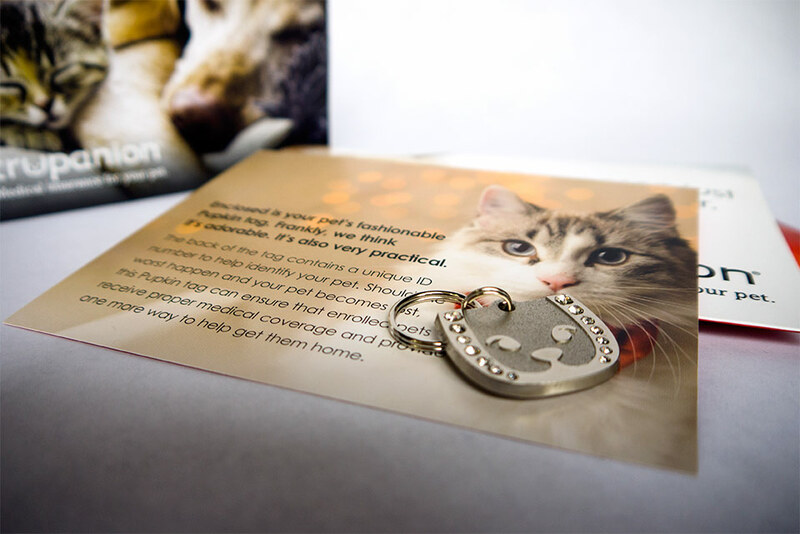 Rather than create one generic kit, we designed the outer package to mirror the pet insured—one focused for dog owners and another for cat owners.